Using customer stratification to help you identify and strengthen your best customer relationships—and limit the impact from unprofitable ones— can help drive growth for your lumber and building materials business. It allows you to understand the gap between your customers’ transactional gross margin and your company’s true net profit. Gaining a holistic picture of each customer’s value that includes both margins and gross profit, employing strategies on hard data. Retaining customers by knowing where to focus your sales, marketing, and service efforts to retain customers that will help your business grow. 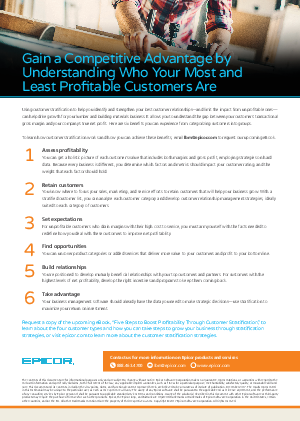 Set expectations by arming yourself with the facts needed to redefine how you deal with these customers to improve net profitability. Find opportunities that deliver more value to your customers and profit to your bottom line. Develop mutually beneficial relationships with your top customers and partners. Maximize your return on investment through stratification of your customer data.